The Grand Kingdom beta begins May 3 on PS4. Complete quests in a small sampling of a grand adventure! We’ll start sending out codes to download the beta on May 3 and it will last for one week. The servers will be shutting down in the wee hours of the morning on May 10. Well, how do I participate and get one of those codes? Go to the Grand Kingdom website and fill in the beta application form. It’s easy-peasy, dood. 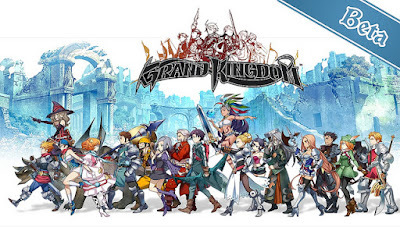 If Grand Kingdom is coming out on PS4 and PS Vita, can I join the beta on either system? While the game will be cross-platform, we’ll be running the beta for Grand Kingdom exclusively on PS4.